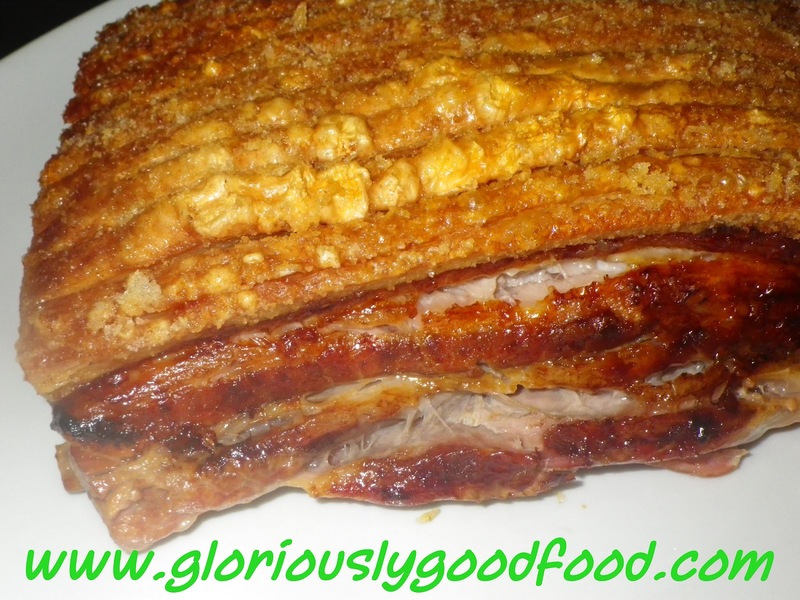 Slow-roasted pork belly is a delicious, juicy cut of meat with a tantalisingly crispy crackling; a dish sure to impress any guests and get the whole family going ‘oooh’ and ‘aahhhh’, yet it’s incredibly easy to make. Turn down the heat on the juices & apples, pour in the water & gravy browning powder mixture, stirring continuously in order to avoid lumps. Add extra boiling water if the mixture becomes too thick. It helps to use a manual whisk to ensure all the juices – including the fat – mix together into a gravy. Serve with your choice of potatoes & vegetables and of course lashings of apple sauce. This entry was posted in Meat & Poultry, Pork and tagged apple gravy, apple sauce, cooking apples, crackling, pork, pork belly, roast pork, roast pork belly. Bookmark the permalink.